The Lightning are Cup favorites, and there’s no player more important to his team this season than Kucherov. According to Hockey Reference analytics on goals created and shares of standings points, Kucherov leads the league in both categories — just ahead of Edmonton’s Connor McDavid, who’s widely considered the best player in the world. The work that went into making Kucherov the NHL’s leading scorer also made him attractive to Adidas, which signed him last month to a multiyear marketing contract. 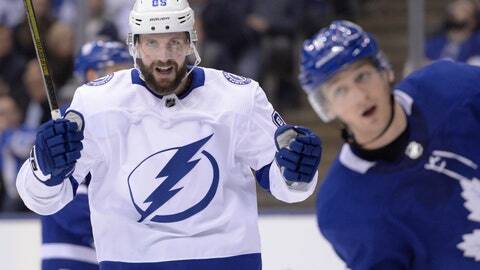 After Kucherov signed a $76 million, eight-year extension last summer, it’s impossible to say he’s underappreciated for his contributions, but the Adidas deal pushes him into another level of stardom — even if reluctantly.